You may have some or all of these perks and access to freebies, and not even know it. How well do you know your cellphone plan? Many of us know how many calls and texts we get per month and how much data we can use, but a lot of people don’t realize how much more they can get from the plan they have. Here are some common perks and freebies you can take advantage of — but only if you are aware of them! If you’re on an equipment installment plan with your carrier, you may be able to upgrade to a new phone early, without incurring any penalties. All of the major carriers — T-Mobile, Verizon, Sprint and AT&T — offer early upgrade programs so you don’t have to pay off your cellphone in full before you can get a new one. Note: Some programs, like AT&T Next and T-Mobile’s JUMP!, require you to pay an additional monthly fee to be eligible for early upgrades. (In the case of T-Mobile’s JUMP! that extra fee includes cellphone insurance.) So, with these plans, you’ll have to weigh the costs against the benefits, depending on the kind of cellphone user you are. Some carriers also offer yearly upgrades for iPhones and Samsung phones, so you can keep up with the latest model. With the new Samsung Galaxy Note9 launch this month and the new iPhone to be announced next month, you should definitely check into it. Log into your cellphone account to see if you’re eligible for an early upgrade. Most carriers make it really easy for you to check this online. Times have really changed since the days of astronomical international roaming surcharges. T-Mobile’s ONE plan includes unlimited texts and data while abroad in over 200 different countries. The data is slow, but still, you’re not paying anything extra. Sprint offers a similar deal with their cellphone plans — unlimited data (up to 2G speeds) and texts while overseas (in eligible countries) for absolutely free. Verizon’s Above Unlimited Plan lets you use your cellphone plan for FREE for up to five days each month! This bonus is available in more than 130 different countries. If you’re traveling to Mexico or Canada, there are a lot of plans from various carriers that allow you to use your plan for free during your visit. So, before you go out and buy a temporary or travel SIM card, check to see how much international roaming is already included in your plan. 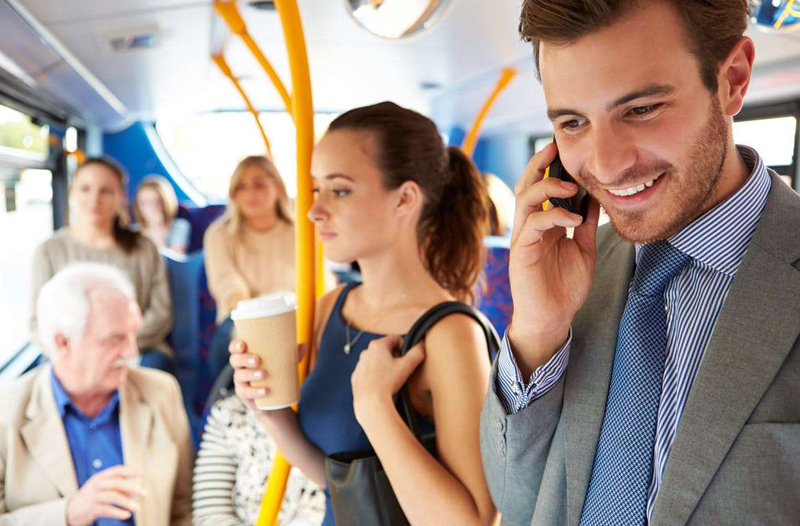 If you frequently work out of Starbucks or like to get some work done on your train ride to the office each day, then ditch the slow public Wi-Fi and utilize your mobile hotspot. Some plans place a limit on how much mobile hotspot you can use — but not all. If your cellphone plan includes mobile hotspot for free, then use it. In fact, some plans include extremely generous mobile hotspot data — so much that some people ditch their home internet plans entirely and rely on their mobile data full time. Certain carriers give you special discounts or freebies, all included with your plan. T-Mobile has “T-Mobile Tuesdays,” when you can log in to their app and claim various discounts each week. You can get discounted movie tickets, free Redbox movie rental, retail discounts and a bunch of other stuff! AT&T also provides exclusive discounts and benefits on concerts, movies, restaurants and more through their AT&T Thanks program. Verizon Up lets customers earn rewards for every $300 spent on your bills. You can claim various dining discounts and exclusive access to special events. Some carriers don’t have special benefit programs, but their cellphone plans just come with bonus extras. For example, Sprint’s Unlimited Basic and Unlimited Plus plans both include a free Hulu subscription.